This is an authorized translation of Janne ‘Rysky’ Riiheläinen‘s blog post “Venäjän uhka” in his blog Väkivallaton maanpuolustus ja sen henki on May 28, 2018. The text describes and lists Russia’s recent efforts to influence Finland. Russia’s threat has a continual presence both in public statements and in between the lines in Finnish security policy discussions. This threat is being defined, argued over, magnified, analyzed, and studied. The first and foremost difficulty in these discussions is the content of the term ‘threat’. Because the term is broad and hard to define, makes the very question about its existence or nature fundamentally almost impossible to answer. The traditional fear is the threat of war, destruction, and occupation. Currently, that is not the primary threat for Finland even though an official review by the government says: “The use or threat of military force against Finland cannot be excluded”. The traditional fear is the threat of war, destruction, and occupation. The threat is more likely something hard to define that rises from the understanding that Russia is prepared to use widely varied means for its political objectives. We are not waging a war, but neither can the current situation between Russia and the West, Finland included, be considered peaceful coexistence. Undefined threat is extremely easily both for exaggeration and underplay. However, should one try to define the nucleus of this threat, it is the fear that Russia could manipulate or force Finland to act against its best interests. Again, best interests are surely equally difficult to define when the political decision-making has inherently different views about what is beneficial for Finland. It is possible to think that the Russians would, in a way, be in better position to know what are in Finland’s and its people’s best interest. This is because they know what they are looking to gain from us and, arguably, that can be suspected to be contrary to Finland’s interests. Russia views the world as a scene of a zero-sum game where the benefit of others means less for Russia. On the other hand, Finland believes in mutual codependency and in the established rules of the game and its worldview is built on seeing common interests so that all parties could always benefit. When a party with a codependent worldview does not recognize the ongoing activities as a zero-sum game, that does not bode well. Often the definition of threat is given as a formula that states that Intent times Capability equals Threat. This means that if someone is willing and capable of causing harm, the threat is great. If, on the other hand, either intent or capability are zero, there is no threat. Putin’s Russia has both the intent and capability to pose a threat. In order to regain its status as a superpower, Russia wants to change the international conventions. Now it is being punished for the use of hard power, but Russia’s obvious goal is to create a sphere of influence where it could assume to act as it pleases without interference of the international community. During the soviet era the Eastern Bloc was such a sphere of influence. In order to achieve this, Russia tries to undermine the western democracies. Through its ties such as EU membership and other associations, Finland is one of these western democracies. Russia’s numerous tactical victories may be hiding in the background the scene that, strategically speaking, it has driven itself to ever more difficult position. Russia is seeking maximal impact with minimal damages to itself, but information cumulatively revealed about its actions against the West make Russia’s predictions on the possible repercussions increasingly more difficult. At least as difficult it is for the West to choose the timing and nature of its countermeasures. Russia’s numerous tactical victories may be hiding the scene in the background that strategically it has driven itself to ever more difficult position. The capability is based foremost on Russia being neither a democracy nor governed by the rule of law. If it were, the law would prevent most of the tricks it plays. It may well be that they are against the current laws in Russia, but lately the Russian judicial system has shifted towards a soviet-like system where its role is merely to enable ‘lawful’ actions when needed. The application of the law has become a distinct political decision, not self-evident as in so called constitutional states. Capability is also described by the fact that there is no real opposition to Putin’s rule nor media with a critical take on the powerful. The duma is a rubber stamp with only a symbolic opposition. Furthermore, Putin is still holding an open mandate from the duma given for the operation in Syria that gives powers to the use of military forces outside Russian borders. It may be of academic interest to try to determine if this mandate legally extends to Putin’s newest term. The hard capability for action comes from Russia’s well resourced security services but also the mobilizable society as a whole. Those looking for fame and fortune know well what Kremlin wants and successful operations lead to significant rewards. This is the modus operandi of many Russians looking to make their way in life, to act as they perceive is the will of Kremlin. The lack of clear instructions leads also to misguided actions. It can also result from different actors having mixed views about Russia’s interests. Therefore some western groups may have backers in Russia. This seems to be the case with Finnish power company Fortum (that has invested heavily in Russia) when rough talks against it needed to be taken back. The legal protection of private property is in reality very weak in Russia and companies are protected by the favor of those in political power, not by the law. The right to get rich in Russia is granted by the political powers to those with economic power. If the political powers for any reason lose their trust, what happens is what happened to Hodorkovsky: both his firm and freedom where gone in an instance. No wonder that Russia’s various attempt to exert influence are run by private entities. This goes for the Finnish ice hockey team Jokers playing in the Russian led KHL hockey league as well as the famed troll factory in Saint Petersburg. Among those supporting the Russian influence campaigns are also many western citizens for their own reasons, who out of a principle or opportunistically side with Russia in certain issues. Supporting Russia’s views is particularly common in the political margins that consider liberal democracy or capitalism, or both, their enemies. In an authoritarian state great resources can be quickly deployed when so decided. The pace and the absolute nature of decision-making are essential parts of the threat that Russia is able to pose. The occupation of Crimea or the building of the Kerch Strait Bridge would not have been possible in a more democratic environment. When necessary, Putin’s Russia can directly call upon the privately held resources, too. Even though the rhetoric of our politicians and officials nearly altogether omit the threat of Russia, actions speak louder. Usually stiff state machinery has accomplished a surprising amount in a very short time. The police and the Finnish Security Intelligence Service (SUPO) have had their resources increased. The strategic programs of the Defence Forces to renew marine and aerial assets are going forward. Upgrading these systems will be funded outside the regular defense budget with more than 10 billion euros. With the increased preparedness through recent changes, Finland is now ready to employ large military force in a matter of hours, covering all military specialties as well as the width and breath of our country. The Finnish Defence Forces have now a new task as dictated by the law: to receive and to give military aid. There have been several bilateral defense policy treaties made with western countries. The most important of these is the defense collaboration, that is connected to the also recently signed trilateral letter of intent by Finland, Sweden, and the United States. Furthermore, EU is also now seeking means to provide safety for its member states. The comprehensive security model has been actively developed by Finland’s Security Committee in several dimensions. With legislation there are several changes planned concerning the Defence Forces but also in laws on the Finnish Border Guard and regional surveillance, the Government Situation Center, dual citizenship, and land ownership. In addition, the experience from crisis response exercises has clarified how the laws on preparedness should be applied. In the front and center of these changes is the preparation of the new intelligence law that would increase the powers of both Finnish civil and military intelligence. All these actions by the government are reactions to something that is considered a possible turn of events. If one considers the recent statement from President Niinistö that used a Russian idiom of ”kazak berjot što ploha ležit” that states ”a Cossack takes what is poorly tied”, Finland has been busy tying down numerous loose things in recent years. It seems that the situational awareness among the officials is much grimmer than could be gleaned from discussions had in public. The public statements concerning this are few and far between and often blurred, such as “1300 km of border [with Russia]” that expresses the Russian threat without being explicit. Digging a little deeper, some more direct statement can be unearthed. There were numerous expert statements given by officials, researchers and others during the preparation of the new intelligence laws. These statements reveal that the experts also outside the government agencies find the situation serious and the security threats most real. If the politicians are not direct and clear about the current situation or are even hindering straight talk, the whole situational awareness in public becomes heavily skewed. When the true situation calls for drastic steps, a distorted image can prevent them to be taken. A historic and an extreme example of this was the opposition to the peace treaty that ended the Winter War of 1939-1940. Only victorious news stories aired due to ideology or censorship caused the view of the status of Finland’s military affairs to be dimmed and ended up being quite different from that held by the state leadership. 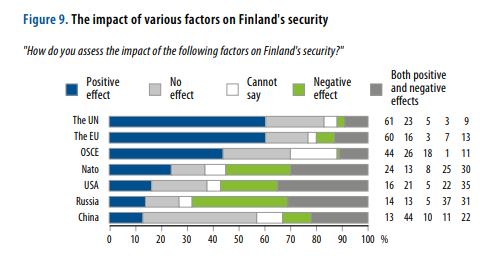 The yearly poll by the Finnish Paliament’s Advisory Board for Defence Information probes Finnish public opinions concerning security issues. The opinions have shifted relatively little compared to the drastic change that has occurred in the security environment. The people’s mood in Finland has settled after the upset caused by the capture of Crimea. Those considering the recent developments in Russia a threat has decreased sharply, but is still at 39%. Three out of four Finns think Finland’s foreign policy is well managed and this figure has increased 10 percentage points in two years. One could say that the people is pleased with the current strategy. Personally, I think the high popularity of President Niinistö points to the same. Overall, there is a consensus that the current situation is difficult and that Niinistö has dealt with it well. With a little pique, it could be said that the actions that have supported Putin’s own popularity in Russia, have caused a collateral damage of doing the same for Niinistö in Finland. Here I have collected some activities in recent years that Russia has directed against Finland. These are the clearest cases, but, because of the hybrid nature of these means, it is possible to claim that any one event was something completely different than planned influence. But even if a single event had not been planned, so many malefactions is no coincidence. It also means that there is a design to gain leverage against Finland. There is no special status that Finland has as part of the West, even though there are some who would very much like to believe that. Letting asylum seekers through the northern border stations in 2015 was a precise and limited change to the way things had been since the second World War: no one was let to the Finnish border from the East without proper documentation. In a situation rattled by the refugee crisis the refugees allowed through Russian northern border crossings was an message to Finland that such actions are now on the table. The nature of these actions have been, untypically, admitted also officially, when President Niinistö said in an interview with a Swedish newspaper that this was Russia sending a message to Finland. Norway was a target of a similar message. Russia’s intentional breaches of Finland’s airspace have been very visible. These incidents are being denied and no explanations are offered. The free Baltic Sea is narrow and other countries have breached Finnish airspace occasionally, but then they have been helpful in finding explanations for the incidents and their tone apologetic. The last time Russia admitted airspace violation against Finland was about ten years ago. There are reasons to suspect that Russia was also behind the breaches of Finnish sea area when unidentified underwater vessel was driven off the sea area close to Helsinki. The land purchases by Russians and the status of people holding a dual citizenship has received much media attention in last couple of years. There have not been any specific cases scrutinized in public, but it would be hard to imagine that the heard statements on these areas would be based only on premonitions, especially when new legal changes are progressing in both. EU has set sanctions against Russia because of the capture of Crimea and the ongoing war in Ukraine. These are not random acts but for each entity or person facing sanctions there are legal grounds that rely on the very reasons the sanctions were set. The entities have the right to appeal to the EU court of EU or the European Council that made the made the sanction rulings in the first place. Russia has, in contrast, set counter-sanctions without legal basis and actually withholds the list of the travel bans. Russia’s own sanctions are aimed at consumer items and, for instance, the Finnish agriculture is affected. The reasons for these are then pure power politics without any demonstrable moral or judicial bases. Russia is supporting organizations that function in Finland and whose ideology could be described as militant putinism. These are, among others, RuFi, that organizes the Immortal Regiment in Finland, and a group of activists of supporting Donetsk People’s Republic. These two groups are closely tied and they have had e.g. a joint Christmas party. A part of the program in the Christmas party was a live video stream to Janus Putkonen, a Finn who works for the Russians in Donetsk. The umbrella organizations for the Russian language NGOs in Finland were turned to putinistic cause, and since then it has been used as means for Russian speakers to participate in the Finnish decision-making but also for the Russian government to influence Russian citizens in Finland. So called ‘child disputes’ merit their own mention here. Russian or part-Russian families living in Finland, and the difficult situations some of them are in, is blatantly used to shame Finland. Former Russia’s child advocate Pavel Astohov excelled in this. He blamed Finland and Norway of ‘terrorism’ towards Russian children. For families with Russian backgrounds this disinformation has caused great stress and continues to do so as mistrust against authorities can be easily provoked. Russia’s current child advocate Anna Kuznetsova adopted a much more moderate stance in public. That was apparent also in the case of Russian diplomats kidnapping a child from the child authorities in Finland in 2016. Interestingly, the best informed of the case was Finnish fake news net media MV. I personally think it likely that information was passed there by Johan Bäckman who has been very active in the guardianship issues and has been linked to MV. Johan Bäckman has been a very active player whose activities have been a part of Russia’s aggressive influence efforts in Finland. The activities listed here are only a part of Bäckman’s known activity and there likely are plenty of unknowns, too. Bäckman is intelligent, apt, and most manipulative but surely not the clown that he could all too easily be framed as. He has acted as the Nordic representative of the thinktank RISI that is directly under Russia’s Precident’s Office. Besides Finland, his direct activities have reached at least Sweden. RISI is currently lead by Mihail Fradkov, a former prime minister and the chief of Russia’s foreign intelligence. RISI is generally considered to be a part of Russia’s foreign intelligence. Bäckman has been around Russia for years telling media how Russians are oppressed in Finland, how undemocratic country Finland is, etc. Bäckman has visited Syria and Lebanon to present ‘medals of the deliverers of Palmyra’ to local leaders and soldiers. Bäckman attempted to buy a radio station along with its operating license, but SUPO’s stated that this could ‘endanger national security’. The ministry of traffic and communication consequently announced its intention to revoke the license should the deal take place. Bäckman has also published and marketed two booklets, one on Donbass and the other on information war. Both are propaganda at its worst. Bäckman has recruited Janus Putkonen to act as a propagandist with the Russian supported rebel troops in Donetsk. Prior to his recruitment he lead a Finnish language conspiracy website verkkomedia.org from Thailand. Bäckman has also actively and financially participated in recruiting foreign fighters from Finland to the war against Ukraine. One of more visible of Bäckman’s operations was the active harassment targeting Finland’s recently founded center for hybrid war. Bäckman is well-known in Finland for his activities and his messages have only a limited appeal and reach, mostly with his few faithful followers. However, in Russia and elsewhere Docent Bäckman can find a trusting audience for his expertise due to his Finnish citizenship and academic decree. Bäckman, a sworn enemy of fascism, is one of the expected candidates of ‘Reformi’ group for 2019 parliamentary elections for the Lapland voting district. The Reformi group was founded by a parliament member James Hirvisaari after he was expelled from the True Finns party. Their other candidate-to-be according to the group’s website is Mika Ranta, a devout national socialist and a founder and the leader of Finnish street patrol squads called Odin’s soldiers. Bäckman’s collaboration with Ilja Janitskin, the founder of MV net media, is about to be scrutinized as a criminal case is coming to the courts involving them both. Bäckman has recently removed the mentions of his role in RISI from his social media accounts – whether it is connected to the upcoming trial, is anyone’s guess. The Finnish Security Intelligence Service has in recent years repeatedly warned about the recruitment activities of foreign intelligence services and points especially to Russian espionage. SUPO has also raised an issue on the intentions to influence Finland’s energy policy decisions from the outside. In practice this must be about the activity of the Russian intelligence in connection to the Fennovoima nuclear power plant. Hacking has played a significant part in Russia’s activity in the West. A Russian hacker group Turla was behind the hacking of the Finnish Foreign ministry network. Even though it is extremely difficult to prove that the Russian state was behind the cyber attacks, there have been clear connections between the hackers and Russian security services. For the festive summit of the 40th anniversary of OSCE in Helsinki, Russia was planning to send delegation made almost only of those in the sanction list of the EU. Following those sanctions Finland gave no visas to the Russian politicians on the sanctioned list. This move caused a strong reaction from Moscow. In practice, Russia’s play gave Finland only bad and worse options: to break the commonly agreed EU sanctions or use untypically strict measures against Russia. In either case Russia would benefit from the situation. When Finland took a stand with EU, Russia used strong words against Finland. Thus Russia made it clear that such actions by Finland are not acceptable for Russia. There were factions in Finland that sided with Russia. If Finland is seen to be in opposition to the interests of Russia, Russia’s verdict against Finland is always swift and harsh. A good example of this was when Finnish officials assisted the Dutch officials in the investigation of the shooting down of the Malesian plane above Ukraine after a direct request. It was understood in Finland, too, that Russia did not want any support for this investigation, and in a matter of few hours after the news broke, the Finnish President held a press conference. There are different ways that Russia has used aggressive information methods to influence Finland. One central theme has been to stir up polarization on immigration. Finnish history is being distorted in the media controlled by the Russian state, including who started the Winter War in 1939. Intentional misrepresentations of the statements by Finnish politicians and journalists by Russian media is a part of this activity. Also the threatening tone in statements about Finland’s decision on defense matters can be include herein. Also Finland is targeted with the information influence efforts directed generally towards the West. These efforts include Oliver Stone’s Putin Interviews that was also shown on Finnish TV as well as various media stunts, like Russia taking their gigantic nuclear submarine to the Baltic Sea. A typical and repeated strategy is to represent Finland’s reactions to Russia’s activity as unprovoked aggression as well as those by the West in general. Here we have used the term information influence efforts or information meddling that may give too soft of an image of the aggressive activity Russia has engaged in. Information warfare against the West and Finland may be equally appropriate term. That term has the problem that war insinuates that there are two sides engaged in similar aggressions, but this is not the case here. Information warfare is being waged against us, but should we engage in it, we have given up principles of a lawful and legalistic government. Competitive sports provides Russia with one of the rare means of soft power. Even in sports Russia has employed harsh methods to promote its position. Russia’s state-lead doping program directed against other countries including Finland resulting in that also Finnish athletes competed from an uneven position. The professional hockey league KHL has spread through the Finnish hockey team Jokers also to Finland even though the financial costs have become more than any love for sports alone could withstand. The sports agenda of KHL has become questioned; for instance, the pay ceiling, in practice, does not apply to all teams. A threat is a possibility of something unfavorable coming to pass. Russia’s threat is a possibility, but unfortunately unfavorable things have already happened a plenty. This is, as I see it, the generally accepted view with the exception of the most outlandish margins. There are, however, an attitude in support these events as an argument that we should not do anything that could cause Russia to take further actions against us. In this thinking, any view or activity not favorable to Russia could immediately result an unfavorable actions to be taken against us. Inherent to this thinking is that others are responsible for Russia’s behavior. And in fact, it assumes that Russia is incapable of bearing the responsibility of its own actions. This is the logic that very often is behind the accusations of war mongering. Kremlin is also prone to frame the reactions of the West to its own aggression as uncalled for and hostile. This is a common narrative in Russia and some in the West have accepted it, too. Inherent to this thinking is that others are responsible for Russia’s behavior. 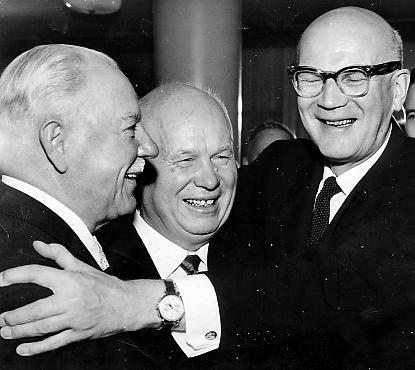 Finland survived the Cold War by taking into account the views of the Soviet Union in our decision-making. 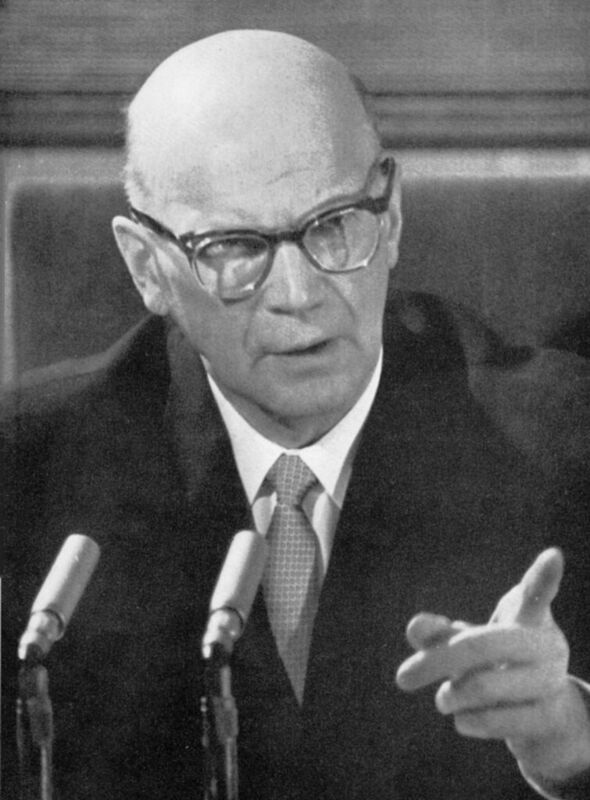 The main policy of Finland was to avoid doing anything that would irritate the Soviets and foremost to see that Finland’s area could not be used in an attack against Russia. The Agreement of Friendship, Cooperation, and Mutual Assistance (YYA Treaty) bound Finland clearly to the Soviet sphere of influence. The YYA Treaty can be even interpreted to be a military alliance for the purpose of stopping an attack against the Soviet Union. Previously the western integration of Finland was only in areas of politics not including defense decisions, but that has changed and it now purposefully covers defense matters. Furthermore, defense policy has become a more active part of security policy for Finland. This change is revealing in that Finland is now strongly positioned with the West, but also more than mere foreign politics is needed. It is significant that President Niinistö has a open communication lines with the East and the West, but the long favored view of Finland in the middle is really no longer sufficient. Personally, I am particularly irritated by this phenomenon that one sees surprisingly often in the Finnish discussions on security policy. It is that people are adjusting their situational assessments based on the conclusions they want to reach. This has become most apparent with the question of the NATO membership. Those most staunchly against a membership in that treaty organization see almost nothing to criticize in Russia’s actions. Some arguing for joining the NATO bring up disturbing echoes of the past with views of the Russia as an forever enemy of Finland. Such predestination is not only foolish, but also dangerous. 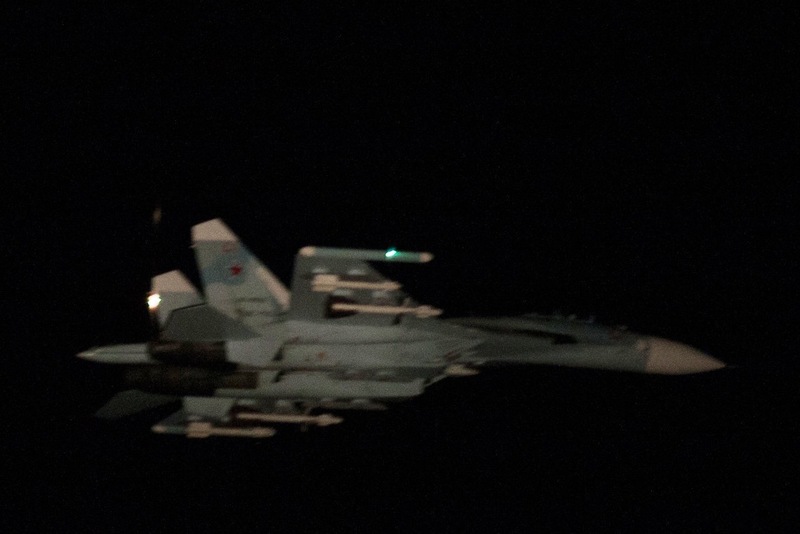 Picture of a Russian fighter during an airspace violation taken by Finnish Air Forces. Fly next to it, flip the searchlight on, and snap a picture. The Finnish take on Russia is best described as strategic perseverance. Not to get agitated but to react with pragmatism. An airspace violation is reported and the necessary actions will be made as stated by the law. After those are done, some further actions may be taken, but without much ado. In 2014 the Air Forces was moving Hornets near Helsinki and in 2016 published pictures of the Russian planes that had violated our airspace, kind of trophies if you will. These activities revealed Finland’s capability to meet with uninvited guests entering our airspace. The message was received loud and clear both times, though there was no grandiose remarks by the state officials. The Finnish take on Russia is one best described as strategic perseverance. Not to get agitated but to react with pragmatism. The core of President Niinistö’s policy towards Russia is that Russia cannot be solved, rather, it must be lived with. One must understand what Russia is doing, what its aim is, and why this is happening. Understanding does not mean acceptance, but it acts as a basis for rational reactions. Putin’s Russia does not act irrationally: its actions always have an objective behind them. It calls for serious consideration to decide when to give in and also how to not give in. Everyday connections to Russia and to Russians, like tourism, trade by small businesses and NGOs, are vital and they should not be affected by the tensions in the security situation. Lately, the status of the Finland-Russia association has been criticized, but I see it as an important instrument. Any activity could always be criticized but maintaining this existing structure is important – assuming that it does what was its original purpose: to increase connections between the Finns and the Russians. Eventually the current phase will pass. Maybe then we can continue the everyday relations and coexistence across the border that we already had a brief touch of. Visa exceptions have not been in the discussions for a long time but one could hope that things develop towards that becoming an opportunity again. For now, unfortunately, Russia cannot be regarded an opportunity only, but also a threat.